NOTE: This model has been discontinued but may be available as pre-owned. Other models of interest include the OHP6500. Please call 702.868.7676 for other solutions. OHP 5500 Digital Player/Interface -- With the OHP 5500 Digital Player, now ANY business can have on-hold audio. It used to be that only businesses with PBX or KEY phone systems could have on-hold audio. Not anymore! The new OHP 5500 has an integrated analog adapter module which allows it to provide on-hold audio content to ordinary analog and popular "KSU-Less" phone systems. The module is a landmark achievement that allows millions of businesses without PBX or KEY systems to have on-hold audio for the first time, ever. The OHP 5500 works with virtually all analog and KSU-less phones and is activated by pressing the *hold button on any phone extension (see note below). The module supports up to four incoming lines and provides on-hold audio on up to 50 phone extensions (includes 2 (TEHMA) activators. To operate, Just drop in a single-track CD, close the lid -- the OHP 5500 player spins up the disc and records it into non-volatile digital flash memory (immune to power outages) automatically! Playback begins immediately as the CD transport then shuts off and waits for your next message update. Want to record tracks individually? You can do that, too! With the OHP 5500 any business, regardless of size, can sound like a corporate giant. The OHP 5500 comes with 8-minute recording/playback capacity. Want more time? Simply lift a door to add memory modules and upgrade to 16, 24 or 32 minutes. We also offer a "manual/auto" load version... the OHP6500. If you system is a larger PBX/KSU business style that already has a MOH Music/Message On Hold audio input, check out our OHP6000. Note: On telephone lines that include the Phone Company Feature "Call Waiting," only the original caller may listen to your message when placed on hold. When flashing between two callers, neither caller will hear the message because with the phone company "Call Waiting" feature, the hold condition occurs at the phone company, not your office. As mentioned, when putting an original caller on hold, they WILL hear your On Hold message. . Hold button activation requires a TEHMA be present on the phone placing the call on hold. If activating via a cordless phone, either use a TEHMA with your headset, or place caller on hold by pressing the star key twice. Lean more about the TEHMA here. 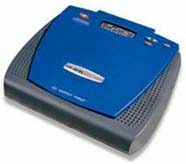 The OHP5500 unit may still work with with "Centrex" phone systems. If you activate your hold feature using the "Hold" button on the phone, this model should activate "Hold" and "Message On-Hold." If using the "Centrex" "Hold" feature, (usually by pressing the sequence [*7, etc.) your caller gets placed on hold at the telephone company central office (CO) and will not activate the OHP5500. To see a list of compatibility issues Click Here. IS THE OHP5500 RIGHT FOR YOU? With our "Drop in CD, Close Lid, Walk Away" feature, this is the easiest to use Message On-Hold player in the industry! Updates are as simple as that! The OHP 5500 loads any standard Compact Disc (CD) of one or more tracks. If your CD has multiple tracks, simply select the desired tracks up to your memory limit (8 minutes standard, upgrade to 16, 24 or 32 minutes) and press the RECORD button. Those tracks will now "load" to its internal Flash Style computer memory chip(s). Once loaded, audio remains onboard even during power bumps and outages.... no batteries to monitor or replace - your audio remains intact. To take advantage of the "Auto Load" feature simply insert a single track CD (as would be provided by Powers Productions), close the lid and walk away. Your OHP 5500 now spins the CD, loads your message into its internal memory chip and shuts off the CD transport until your next message update. Feel free to remove the recorded CD at any time. The OHP 5500 utilizes ISD Chipcorder technology which was chosen for its superior sound quality over typical flash-memory-based systems. Sound quality is comparable to systems with 128Kbps or better sampling rates. 8KHz Sample Rate .Retains music/message content even during power outages. Maximum number of messages: 31, programmable internal from audio CD. The OHP 5500 ships with 8 minutes of digital flash memory. This can be easily upgraded to 16, 24 or 32 minutes. Adds true "hold button" hold music activation to standard analog and KSU-less telephones with up to 4 lines and 50 station sets. Works with all types of phones - even cordless.